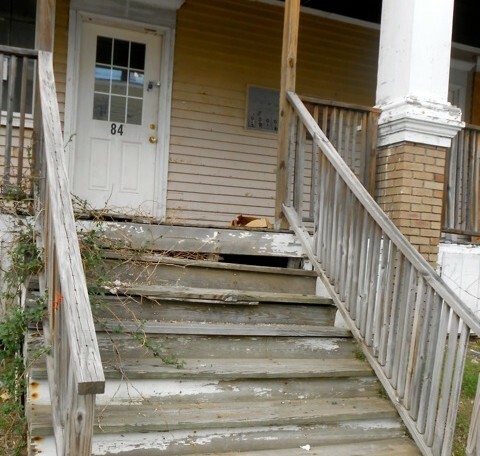 Kids are getting sick from Maine's old housing stock, but not enough of them know it. But in order for the kids to be helped, they first have to be found — and Maine does a poor job of trying to find them. Lead paint was banned in 1978, but it is still present in many old homes and apartments; nearly 30 percent of Maine housing was built before 1950. Chips and dust from lead paint — as well as runoff from lead plumbing fixers — can easily be ingested or inhaled. Even low levels of lead exposure to a developing brain can cause developmental delays and damage to the muscular and nervous systems. Multiple studies show lead poisoning drops a person’s IQ level and future earnings. And time is a factor — the severity of any problems increases along with the duration and intensity of the exposure to lead. However, in Maine, which has the sixth-oldest housing stock in the nation, just 55 percent of 1-year-olds and 37 percent of 2-year-olds were tested in 2017, according to a recently released study from the Maine Affordable Housing Coalition. Maine should follow suit. The effects of lead poisoning can’t be reversed, but they can be stopped — once a child is diagnosed with elevated levels of lead, parents and landlords can have the hazards removed. The state took a strong step in 2015 by lowering the threshold for lead poisoning from 15 to 5 micrograms per deciliter of blood. As a result, more kids’ families were notified of lead exposure, and the source of the exposure eliminated, before things got worse. The state should also look to the success of Androscoggin County, particularly in Lewiston-Auburn, where a focus on lead testing and remediation in the area’s old buildings is reflected in a 15 percent increase in childhood testing from 2004 to 2014. They are doing something right — and it should be duplicated. It will take more than a mandate — testing rates are low even for kids who are covered by MaineCare and thus already under a federal testing mandate. But a mandate will make sure that more Maine kids are tested — and that more are saved from situations that are slowly poisoning them.